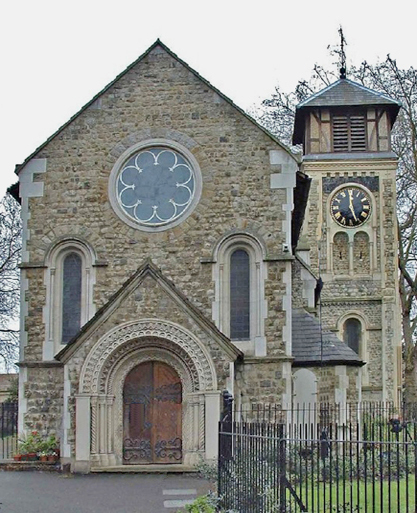 Elizabeth was buried 25th February 1850 in the Old Church St Pancras Cemetery. 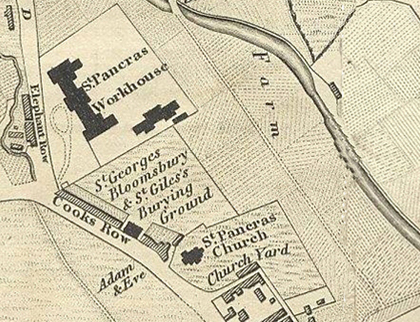 The maps above show the area in 1827 (left) and 1870 (right). 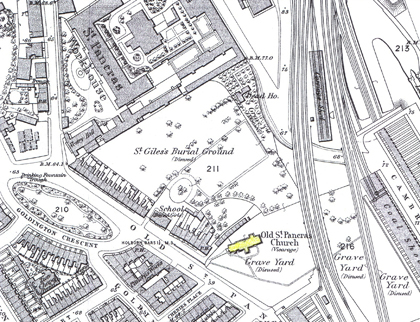 Notice the railway line into St Pancras station cuts right through the cemetery which had closed in 1854. 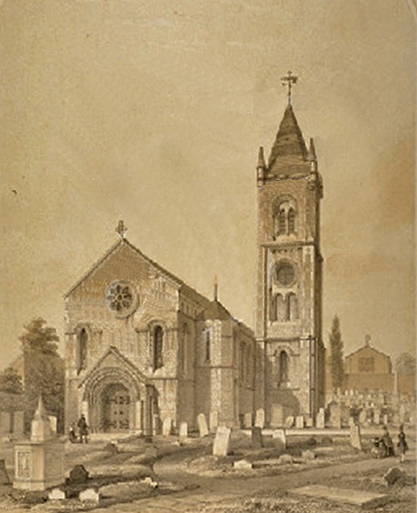 Below left is an artist's impression of the church in 1848. The church is photographed present day (below right).